Designed for outdoor enthusiasts and adventure sports photographers & videographers, the unique brushless motor control system on EVOLUTION has achieved the control accuracy up to x8 higher than industry average, presenting extraordinary stabilizing performance that realizes perfect smooth imaging even under intense motions. Putting mode switch and camera angle controls ALL in ONE just in reach of your thumb. Convenient thumbscrew design for easy camera mounting. EVOLUTION realizes an unprecedented angle sensing precision to 0.02°. Designed for most action cameras. Featuring ZHIYUN’s self-developed stabilizing control algorithms, EVOLUTION guarantees high performance and quick attitude responses while minimizing power consumption for extensive operation time. Integrated with the pioneering 32-bit x 3 high-speed MCU parallel control technology, which realizes a synchronous data processing speed up to 4000Hz on its independent built-in IMU, EVOLUTION delivers instant attitude compensations for excellent stabilizing performance that helps creating the most stunning shots with dramatic tension between speed and passion. 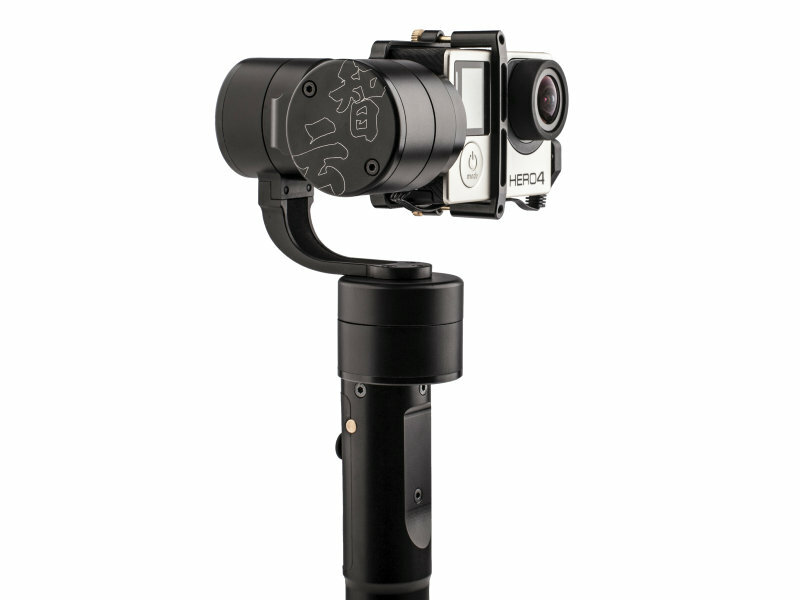 ZHIYUN’s unique motor construction has integrated magnetic sources and electronic cells into compact units that greatly enhances work efficiency of the motors while saving more power. As the result, the size of the motors has been made smaller while the torque output remains unchanged. Compatible with both 18350 and 18650 Li-Ion batteries and featured with a power-saving construction, EVOLUTION supports a continuous runtime of up to 12 hours. In addition, a Micro USB port at the side of the handle allows synchronous power charging to the mounted camera for more convenient shooting operations, saving the trouble for changing camera batteries, while unifying working duration of both devices. A smart 5-way joystick plus one power button on the side are all you need to command your EVOLUTION to work, putting mode switch and camera angle controls ALL in ONE just in reach of your thumb. In designing the very compact and robust construction of EVOLUTION, the design team had pioneered to apply the magnet-steel integrated technology combined with antioxidant contact ring design, making it more solid and durable to tackle tasks in various environmental conditions. In addition, the anti-slip thread pattern on the handle enhances hand feel and prevent slipping. 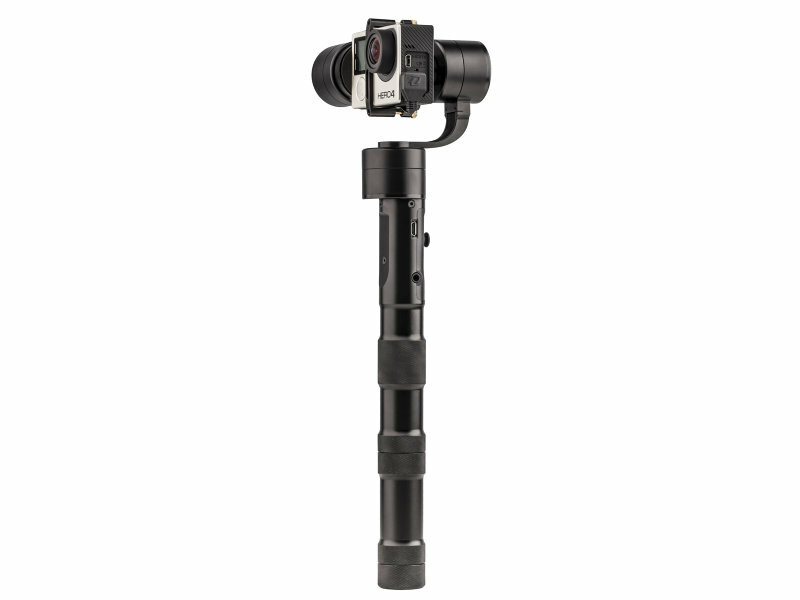 Elaborately and independently engineered by ZHIYUN team from every part to the final production, and through stringent QC process, we have made it possible for the perfect integration and cooperation between software algorithms and hardware performance, defeating general stabilizers from any assembling enterprise that uses serial/open source system with third-party parts. Constructed through the combination of anodic oxidation and sandblasting processes, EVOLUTIONS is ensured with comfortable hand feel and optimized corrosion & abrasion resistance for better durability.